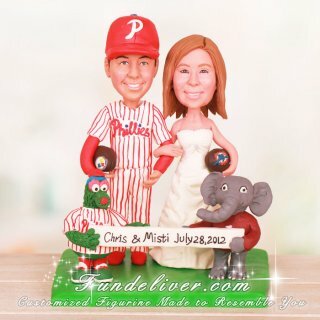 This is a completely customized football wedding cake topper with Philly Phanatic and Big Al Mascots ordered by one of our customers. 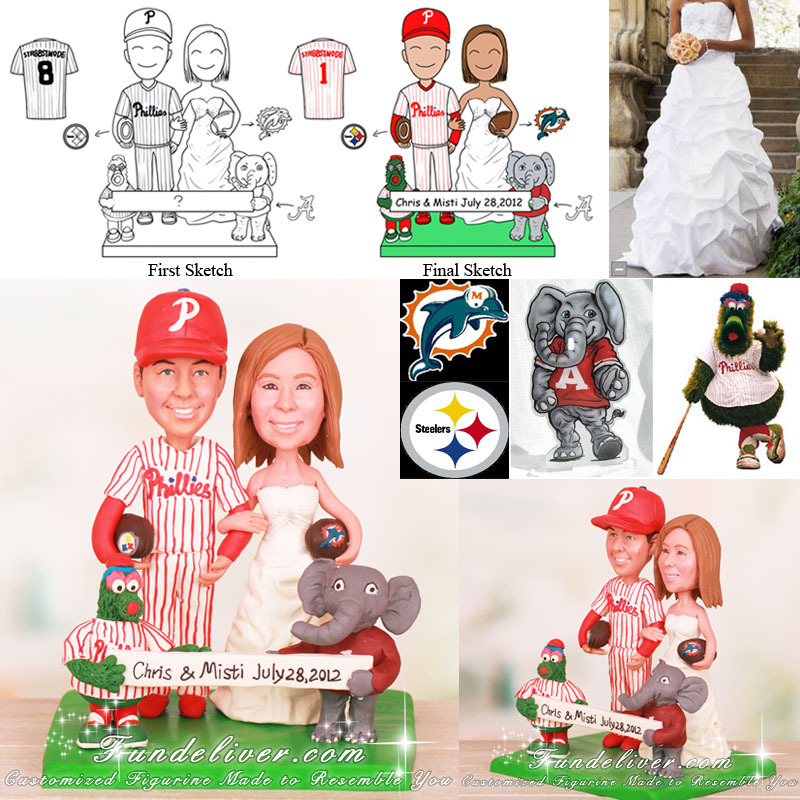 They would like the groom to be in the Phillies hat and Phillies uniform with "Str8bstmode" #1 on the back, holding a football with the Steeler's logo. For the bride, they would like her to be in wedding dress, holding a football with the Miami Dolphins logo. Also they would like to put the Philly Phanatic and Big Al in front of them, jointly holding a banner saying “Chris & Misti July 28,2012”. The Philly Phanatic is on the groom's side, the Big Al is on the bride's side, but instead of the University A, they would like the Big Al to have the Alabama A on it.